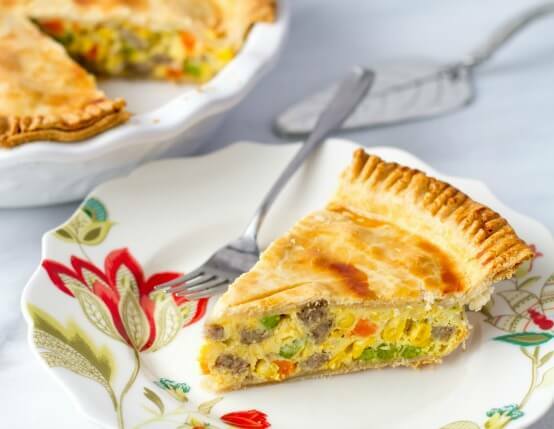 With just 15 minutes of prep, this wholesome breakfast-inspired pot pie recipe is perfect for brinner. Preheat oven to 400°F. Place 1 pie crust into an ungreased 9-inch pie plate. Mix prepared sausage, 5 eggs, mixed vegetables and cheese together in bowl; season with salt and pepper. Pour into crust. Top with remaining pie crust and crimp edges to seal. Cut 3 slits in top crust. Brush with remaining 1 beaten egg. Bake for 35 to 37 minutes or until internal temperature reaches 165°F. If needed, cover pot pie with foil to prevent top crust from over browning. This recipe is fantastic. 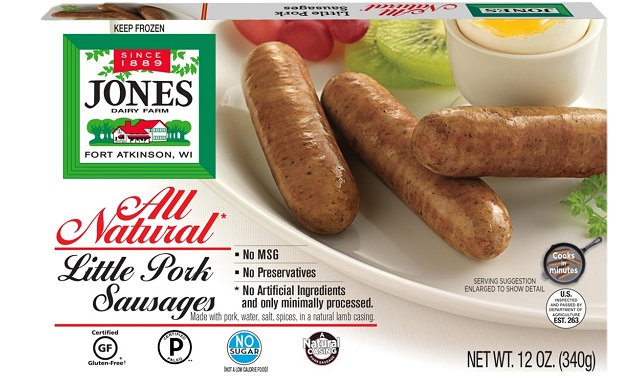 It is super easy to pull together and it can easily be made with whatever Jones product I have on hand (our favorite is the chicken sausage). We love this as a brinner recipe, and the leftovers make a great breakfast for the next day.